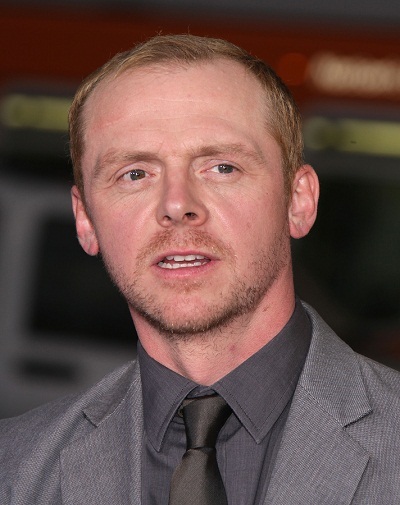 Place of Birth: Gloucester City, Gloucestershire, England, U.K.
Simon Pegg is an English actor, comedian, writer, director, producer, and singer. He is known for starring opposite Nick Frost. Simon is the son of Gillian Rosemary (Smith) and John Henry Beckingham. His parents divorced when he was seven, and Simon took on the surname of his stepfather, Pegg. Simon is married to music industry publicist Maureen McCann, with whom he has a daughter. Simon’s paternal grandfather was Frederick John Beckingham (the son of George Beckingham and Elizabeth Ann Mason). Frederick was born in Gloucester, Gloucestershire, England. George was the son of Thomas Beckingham and Sarah Anne Hawkins. Elizabeth was the daughter of David Mason and Mary Ann. Simon’s paternal grandmother was Irene Minnie Faulkner (the daughter of Charles Henry Faulkner and Florence May Bosley). Irene was born in Gloucester, Gloucestershire, England. Charles was the son of Thomas Faulkner and Mary Letitia Barnett. Florence was the daughter of George Charles Bosley and Eliza Emily Alder. Simon’s maternal grandfather was named Albert Edward Smith. Simon’s maternal grandmother was Beatrice Emma Turner (the daughter of Frank Turner and Clara Jane Masters). Frank was the son of Thomas Turner and Hannah Vaughan. Clara was born in Cardiff, Glamorgan, Wales, the daughter of Edward Masters and Jemima Gigg. Clara was of mostly English ancestry. I’ve always thought that he looked like a lighter version of Michael Sheen, who is Welsh. No wonder why! He said that he was Scottish. But that may be just because he was playing scotty in star trek.